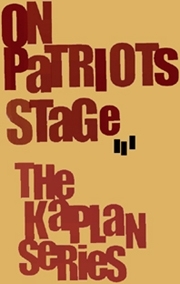 “On Patriots Stage – The Kaplan Series” is a unique experience in musical performance distinguishing itself from any other concert series in America by offering audiences a rare opportunity to share the stage with world-renowned musical artists and enjoy an up-close and personal evening of music as well as an opportunity to meet the performer. The War Memorial Theater, with its breathtaking gothic architecture and state-of-the-art lighting and sound system and its recent $35 million renovation make it the perfect backdrop for the series. Click here for a short clip of David “Honeyboy” Edwards playing at a recent Kaplan Series concert. If you'd like to be kept up to date on our concerts and events, please click here to subscribe to our email list. "Everyone should perform backwards at least once in their lives!" "The gig at the War Memorial that Woody Mann hosts is one of those really special events for me. For those of you living in the Trenton area you are blessed by having this wonderful venue nearby. Special thanks should also be given to Molly Sword McDonough for the wonderful job she does as Executive Director. That an outstanding artist like Woody lends himself to booking and hosting the Kaplan Series is the frosting on the cake. This series is an unbelievable winner." "We wanted to thank you for the wonderful concert we saw last night (John Renbourn and Jacqui McShee). Having been a 30+ year fan, it was a real treat to see them here in NJ. Although a long drive for us from northern NJ, we were happy to do it for this wonderful concert. The acoustics were great, and the talent on that stage beyond comparison - as they always have been. 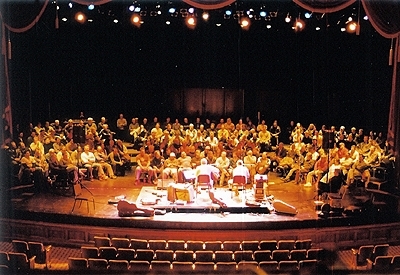 We hope you continue this program - and certainly hope you invite John Renbourn back next year!"